Friends are forever and so is the bond that you share with your friends. 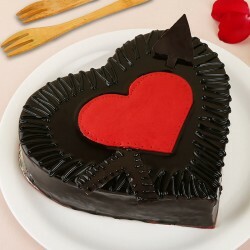 Celebrate this precious bond by ordering a heart-melting cake for them on this special day. 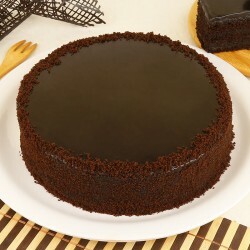 Choose from among our extensive range of flavorful cakes, making their celebrations extra sweet and memorable. 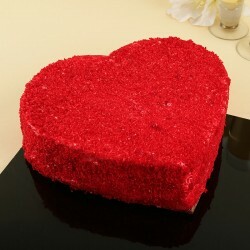 Friendship day is coming and you would definitely like to buy your friends some memorable friendship day gifts. 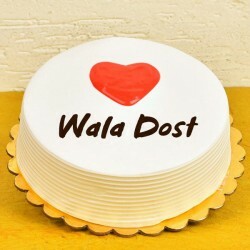 This particular day, dedicated to the bond between two friends, require special gifts that speak of love and express gratitude towards your best buddies. 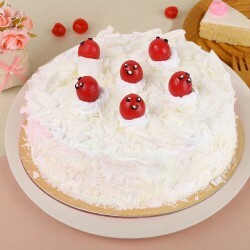 For the celebration of this beautiful day, we bring to you a range of friendship day gifts and a variety of cakes for friendship day that will help you express the love and affection you hold in your heart for your friends. 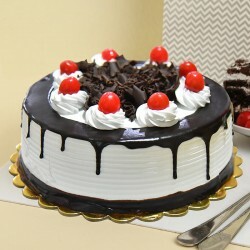 There are numerous gifting options out there, but nothing better than a mouthwatering cake to mark a friendship that probably got stronger over food and sweets. We celebrate this day with so much joy but do you know where did it start? This special day was first observed in Paraguay on 20th July, in 1958 by Dr. Artemio Bracho. Since then this observed and celebrated in different parts of the world with great joy and enthusiasm on the first Sunday in the month of August. 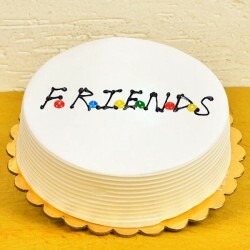 You too can celebrate by acknowledging your best friends and gifting them a token of friendship that they can cherish until the next year. There are different kinds of friends, while some like to hang around all the time, there are others who appear only when you need them. And these different friends have different tastes. But no matter what kind of friend it is, they are all special and capable of making our lives better and happier. 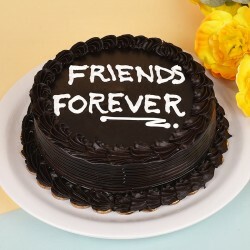 So, it's a good idea to gift your best friends something they like and who doesn't like cakes? 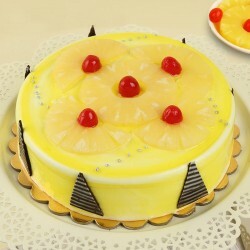 Friendship day cakes are among the favorite for youngsters, who like to celebrate the day with practical gifts. 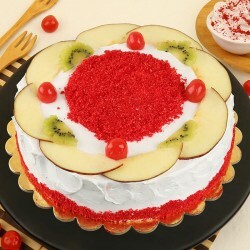 With MyFlowerTree you can order and send friendship day cakes to your best buddy's door step and surprise them. 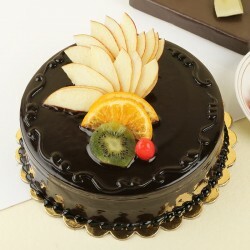 You can order from our extensive range of delectable cakes, the taste of which will make your friendship sweeter. 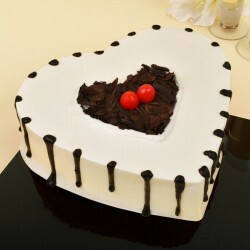 The cakes available include a variety of flavors such as chocolate, butterscotch, strawberry, vanilla, coffee and special red velvet and cheesecakes. Friends are forever and so is the celebration of the special bond that lies between you and them! Seasons may come and go, best moments may pass by, life may lead you in different directions, but the love and care for best friends remain constant. 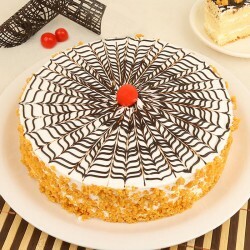 Bringing you the best ways to celebrate this constant bond, we offer you the most scrumptious online friendship day cakes along with unique gifts that you can send to make your friends feel special. 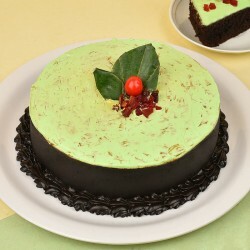 We provide friendship day cakes delivery in Pune, Delhi NCR, Bangalore, and almost all other cities across India. 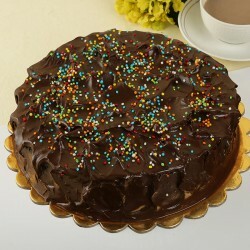 Whether it is the drool-worthy butterscotch or a lip-smacking chocolate mud cake you are looking at, or combination packs where a delicious cake is accompanied by a bouquet of their favorite flowers, a soft teddy bear, a box of chocolates or a good looking friendship band; you have choices galore. Just scroll through the page and choose what you like, sitting in the comfort of your home. Pay online and we'll get it delivered at the right address, without you having to move even an inch. 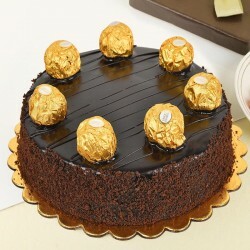 In line with tradition, we have midnight gift delivery service to ensure that the cake reaches at the most apt hour of the night to leave your friend surprised! In case you forget to order a gift in advance, don't worry because we also have same day delivery for those end-moment gift deliveries. 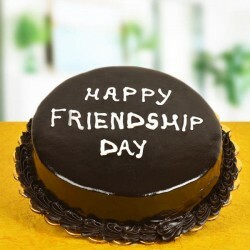 So choose your Friendship Day cake, customize it, add a message to it, and that's it; the rest is our responsibility.